Valencia’s grand entrance, a display of perfectly lined palm trees standing tall, welcomes it’s residents and visitors and ensures that the luxurious feel of the community is realized right from the start. Valencia in Abacoa was built from 2003 to 2004. The non-gated community is a haven of 137 custom built, Mediterranean-styled homes. Interested in ABACOA? Contact us online, call 561-491-2381 or Email - Team@SimmondsTeam.com to learn more about available listings or to book a private showing. Contact us to learn about selling your home with the Simmonds Realty Team. Over $500,000 in upgrades. Resort style pool & spa with misting system. Immaculate custom Mediterranean home on a quiet cul-de-sac in beautiful Valencia. .27 Acres. Private covered sitting area in front has tongue & groove ceiling, pavers and ceiling fan with lighting. Paver driveway and walkway to covered exterior foyer. Custom Mahogany wood front door. Large interior foyer has porcelain tile with marble inlays and recessed lighting. Abacoa is a master-planned and thoughtfully designed area of Jupiter that boasts 17 different neighborhoods. Each community showcases their own architecture and style, all designed to encourage community living and involvement. The land was once owned by John D MacArthur, a businessman and philanthropist. Click here for more on Abacoa. 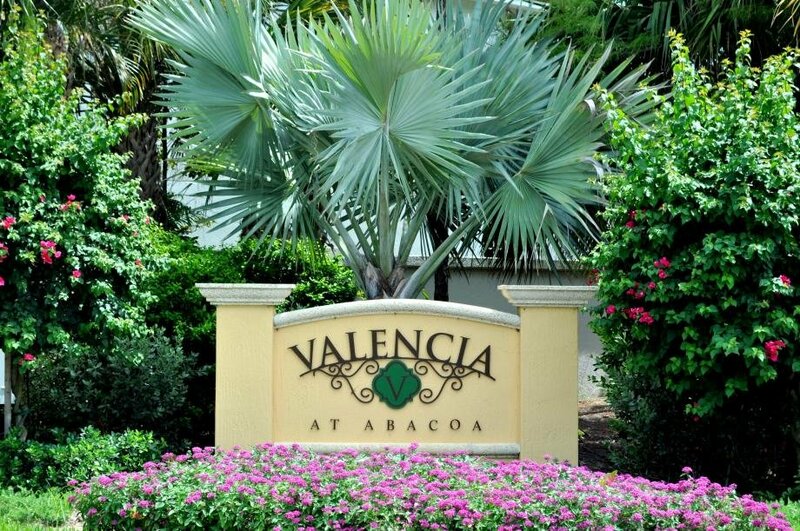 Valencia in Abacoa is conveniently located, allowing residents to easily walk or bike to many different local restaurants and shops, watch Minor League baseball games and Major League Spring Training at Roger Dean Stadium, enjoy live music and entertainment at Abacoa’s amphitheatre and join in the ultimate picnic once a month with the Food Truck Invasion. Also close by are a skate park, football and soccer fields, basketball and racquetball courts, the library, aquatic center and much more! Children of Valencia's residents attend 'A' rated schools.